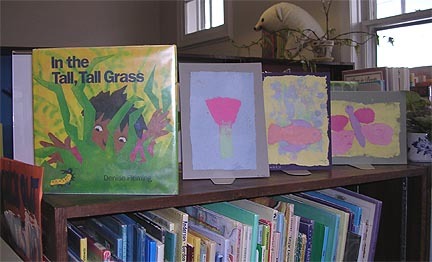 The link between art and children's literature is nearly inseparable. 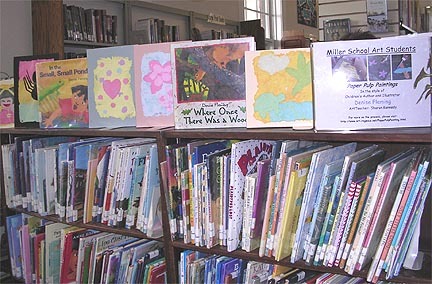 Miller School art students were pleased to have the opportunity to further strengthen that link by exhibiting paper pulp paintings that had been inspired by the work of children's author and illustrator, Denise Fleming. 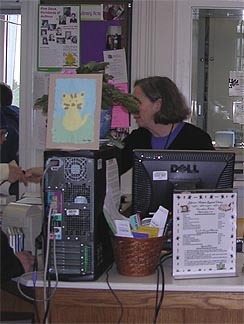 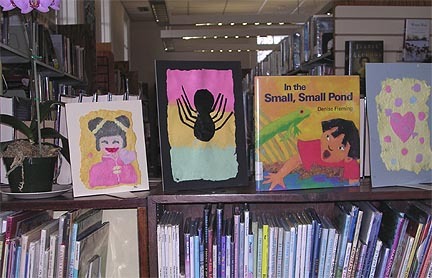 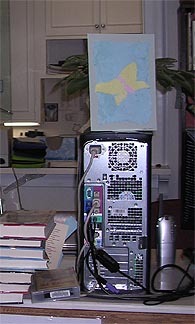 Ms. Fleming's books and the students' artwork were on display in the children's section at our local public library in March 2005. 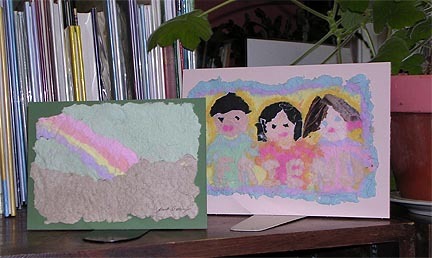 To learn more about the process that led to the creation of these paper pulp paintings, please click here.